Hello October!! 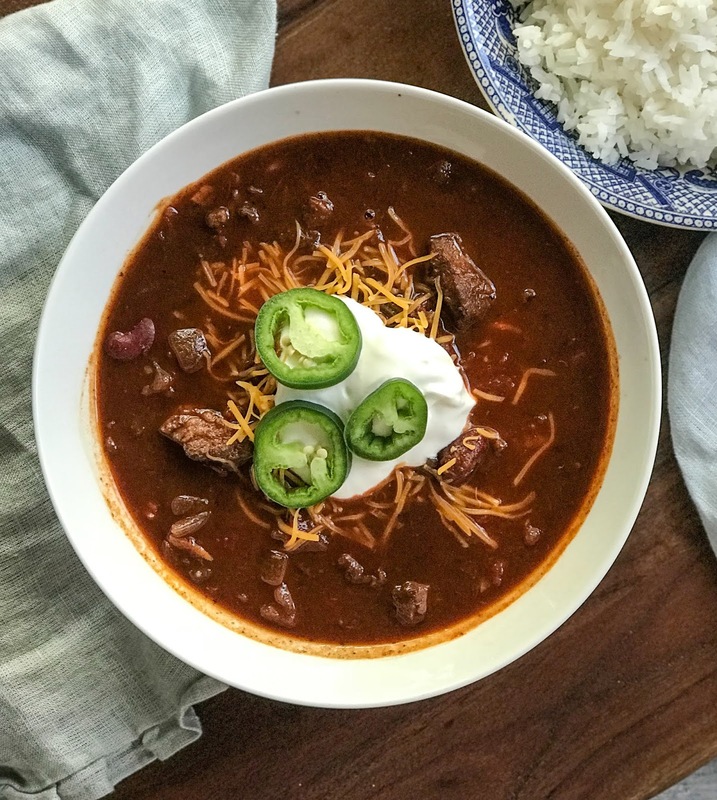 Now that it is officially fall I’m just aching for the weather to cool down and as soon as it does I’m going to want this Chili all of the time. It’s also perfect for your next tailgating party. 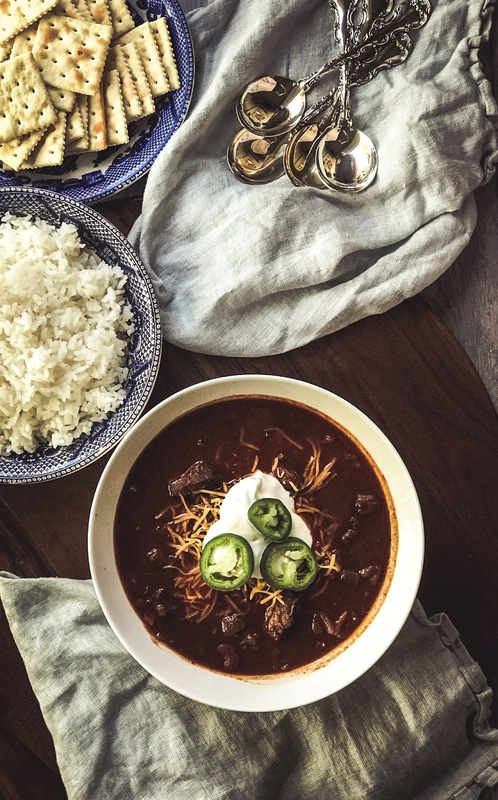 Making this Chili in the Instapot is also one of the easiest party-ready recipes you can possibly make for a crowd and it’s ready in less than 1 hour. So are you team rice, team cracker, or team Frito? 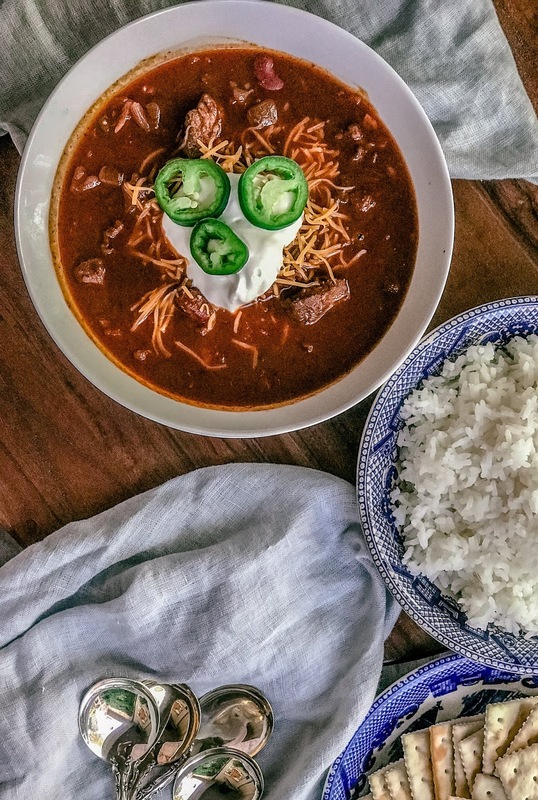 Every time I make Chili my husband and I have a very strong debate over whether to eat the Chili with rice, crackers, or Fritos. I’m all the way rice/cheese/sour cream/jalapeños and an occasional saltine cracker, but my husband absolutely loves Fritos. This year on Prime day I ordered an Instapot and Wow! 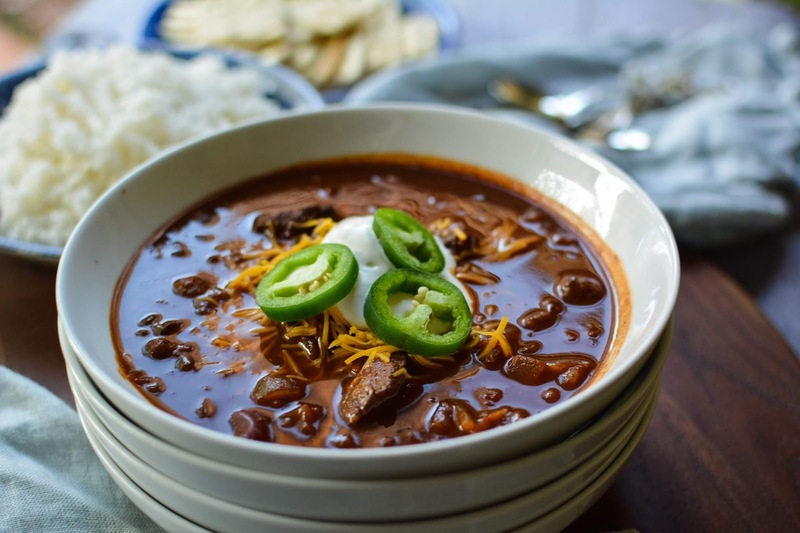 It is so amazing that you can make Chili from start to finish in less than 1 hour when it would have taken all day. I’ve only made a few things in it so far, but am so pleased with everything that I’ve made. It’s just so darn easy. Turn on the Instapot to the sauté setting and add the oil. Add about 1/3 of the beef to the pot and brown on all sides. Remove from the oil and cook the remaining beef in the oil in batches. Add more oil between batches if necessary. Turn off the Instapot. Once all of the meat is cooked, place it back in the Instapot. Add all remaining ingredients (except the serving ingredients) and mix well. 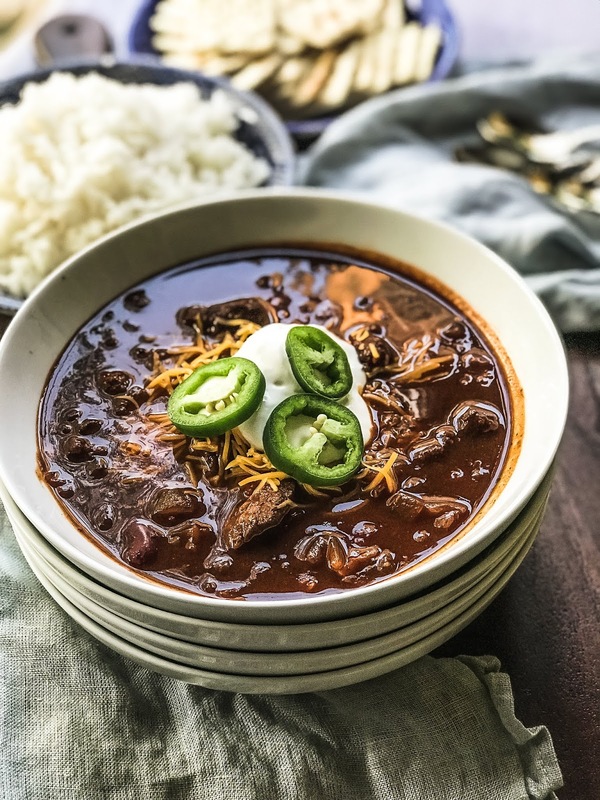 Place the lid on the Instapot and turn on the Chili setting and cook for 18-20 minutes. At this point, you can allow the pressure to release for 10-15 minutes or you can quick release with the vent. 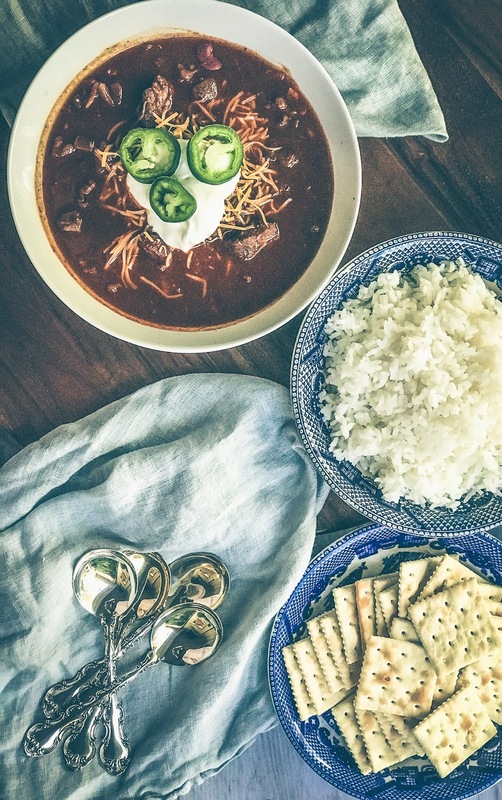 Remove the bay leaves and serve with rice, cheese, jalapeño pepper slices, sour cream, Saltine crackers, or Fritos.